Police at a crime scene in Leyton, east London after a man in his twenties was stabbed to death in March of this year. Credit: PA.
Horizontal: number of knife assaults per local census area during 2016/17. Vertical: Percentage of those local census areas with a knife homicide the following year. “Police IT is in urgent need of refinement. Instead of just keeping case records for legal uses, the systems should be designed to detect crime patterns for prioritising targets. We need to transform IT from electronic filing cabinets into a daily crime forecasting tool,” he said. The new study was co-authored by DCI Massey as part of his Master’s thesis research at Cambridge’s Institute of Criminology, where he worked with Sherman and his colleague Dr R. Timothy Coupe. 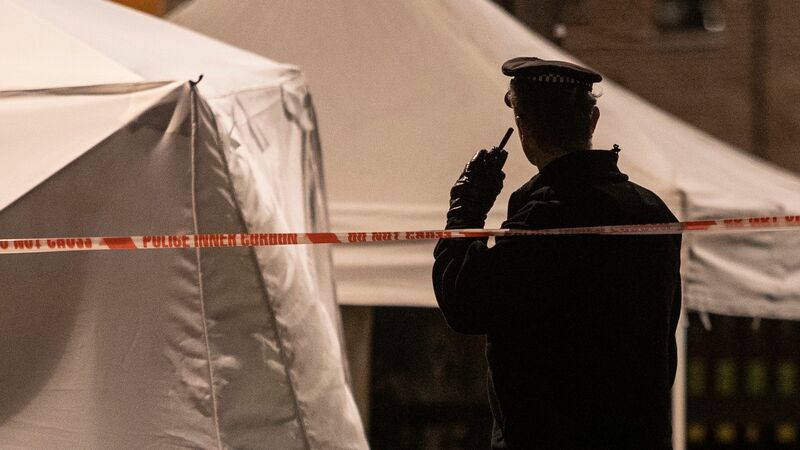 The study’s authors say the last decade of deadly knife crime has been a “moving target”. The research suggests little repetition of homicide location. In the ten years up to 2018, there were 590 knife homicides across London spread over 523 different census areas.